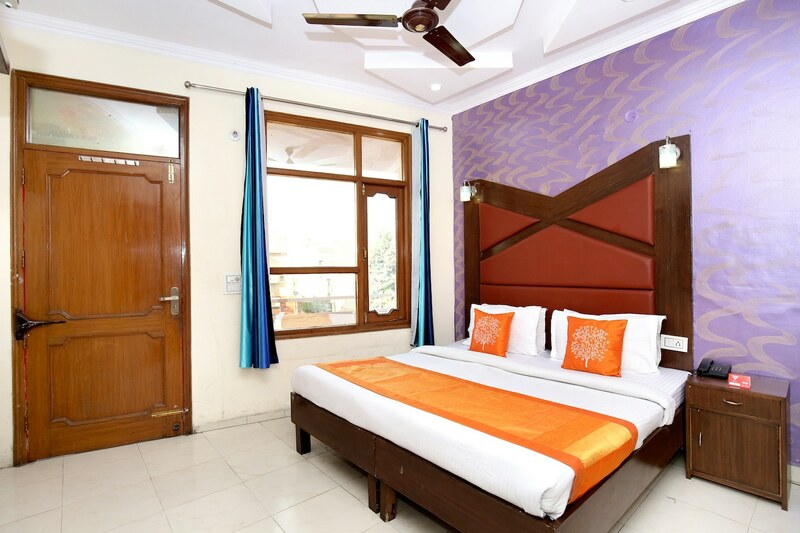 Supremo offers fine accommodation for guests visiting Chandigarh. The rooms are equipped with basic amenities for the comfort of the guests. The wooden finishing and furnishing add charm to the overall decor of the room. The cushioned headboard adds to the elegance of the room. There is also a well-furnished seating area for guests to relax and unwind. Guests can be assured of their security as CCTV cameras are installed across the hotel. Free Wi-Fi service can be used by guests to stay connected with social media or to catch up with pending work. Guests can also enjoy hot water baths in winter season as geyser is also provided by the hotel.